This time last year, our reforms to the retail banking sector came into effect. These reforms – designed to make the sector work better for individuals and small and medium sized enterprises (SMEs) – are now pushing banks to provide a better quality of service and offer fairer prices. This is in addition to enabling new providers to offer innovative products and services. In this blog, I want to reflect on the impact of our reforms; particularly in tackling overdrafts charges, helping customers to compare service quality, and the changes being delivered through Open Banking. Historically, banks have been able to make a lot of money from unarranged overdraft charges: we found that banks generated revenues of £1.2 billion in 2014 from this alone. Now our reforms – combined with further action by the financial regulator, the FCA – are helping people take back control of their overdrafts. banks are now required to alert their customers when they are at risk of slipping into an unarranged overdraft and being hit with fees. we’ve made banks limit how much they charge their customers when they do go into unarranged overdrafts. These measures came into effect this time last year, and since then we’ve been active in enforcing these new rules. We have detected a number of instances of banks not complying. This has usually been due to errors with implementation, rather than deliberate non-compliance. Positively, the banks have usually held their hands up when they’ve made a mistake and we’ve been able to deal with this promptly and see that customers were refunded. Since our reforms came into effect, we have required banks to refund around £1.6 million in fees to their customers. Now that 12 months have passed, and banks have had time to get used to the new regulations, there is no excuse for further errors and we will take action to deal with repeated, or serious issues, with banks not complying. This could include calling out poor performance, or issuing legally enforceable Directions to ensure compliance. The FCA has also been reviewing overdraft charges in response to a recommendation we made in our market investigation. In December it published the outcome of its review and the further reforms it is making to protect customers. People need reliable information about the quality of service that banks offer. This helps new customers make an informed decision when selecting a bank and can help existing customers find and switch to a better provider. Therefore we’ve taken action to improve transparency: banks now have to publish how their service quality ranks against others. This is based on customers’ willingness to recommend them to friends, family or colleagues. In the latest independent survey, 16 thousand customers of the 16 largest personal account took part. These surveys are making a difference. People now have comparable information about the quality of service they can expect, helping them to choose the bank that is right for them. You may have seen the First Direct advertising shouting about the fact they’ve been ranking “number 1” on some measures. For banks who haven’t performed so well, this is a clear indication that they need to do more to raise their game. One of our most ambitious reforms has been our work on Open Banking, which is helping people choose the best deal from competing products, and giving new, innovative providers a better chance to enter and grow in the market. For too long, current account customers have been unclear about whether they have been getting a good deal from their bank and whether they could get a better deal elsewhere. As a result, only 3% of personal customers and 4% of business customers switch to a different bank in any year. But for the first time, Open Banking will allow customers and SMEs to easily work out which banks offer the best service for them by using secure apps. More fundamentally, Open Banking has allowed innovative new products and exciting new players to enter the market, while encouraging innovation from the existing players. You can find a full list of Open Banking service providers here. To encourage providers to create the best Open Banking products for SMEs, we’ve been working in collaboration with the innovation charity Nesta. As part of Nesta’s ‘Open Up Challenge’, FinTech businesses have competed for additional funding to take their products and services to market. Between 2017 and 2018, the Open Up Challenge has awarded funds of £4.5 million to 25 tech companies. In December 2018, the six final winners of the Open Up Challenge were announced. It’s been a promising year since the retail banking reforms were introduced. There has been a lot of progress but there’s still more to be done to make sure that banks are working harder for their customers. In the coming months, we will continue to work in collaboration with government, regulators, customer and business representatives and the banking industry to improve banking for all. Visit our case page for more information on our retail banking remedies. What's being done to address the number and rate of branch and ATM closures - especially in remote and less affluent areas? Our investigation was focused on competition in the banking sector. 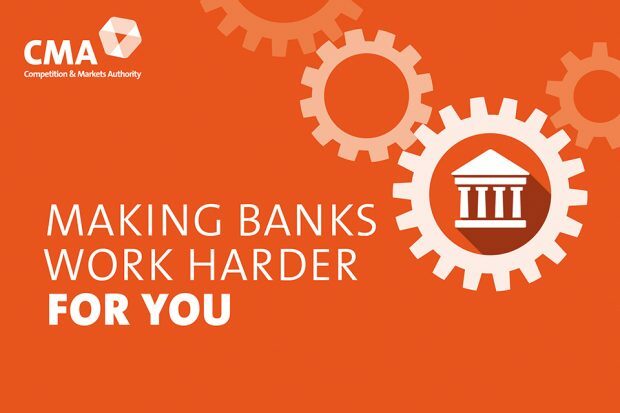 These issues are being looked at by other organisations, including the Financial Conduct Authority (https://www.fca.org.uk/news/press-releases/fca-publishes-update-wide-ranging-review-retail-banking-sector) and Payment Systems Regulator (https://www.psr.org.uk/psr-publications/news-announcements/response-to-atm-closures).